Click here to join the event! Giveaway ends on January 31st. Our good friends at Off to Neverland Travel® are sponsoring this giveaway! 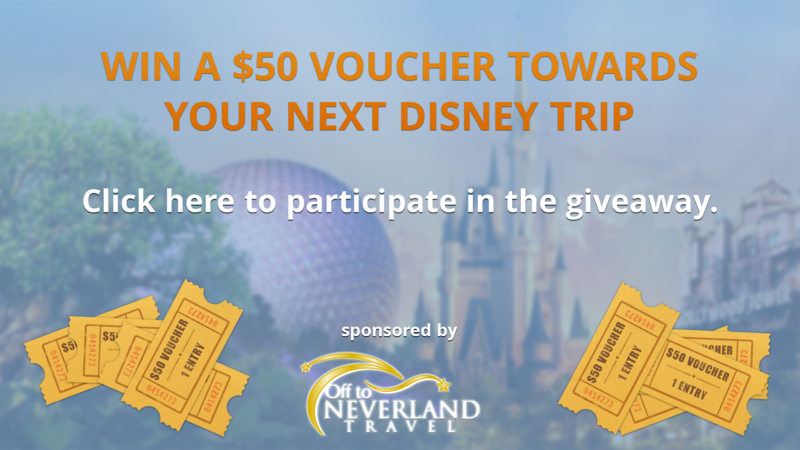 The winner will receive a $50 voucher from Off to Neverland Travel® that is redeemable on any Walt Disney World® Resort Room and Ticket Package, Disneyland® Resort Room and Ticket Package, Disney Cruise Line Vacation or Aulani, A Disney Resort and Spa Vacation. The winner will be contacted by D-CoT via e-mail with instructions on how to redeem their voucher.